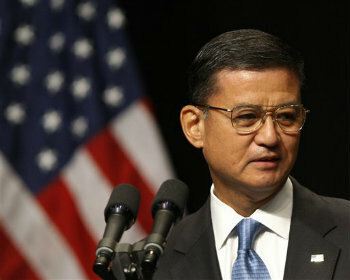 About 3.8 million veterans will not receive disability compensation next month if the partial government shutdown continues into late October, Veterans Affairs Secretary Eric Shinseki told lawmakers Wednesday. WASHINGTON (AP) — About 3.8 million veterans will not receive disability compensation next month if the partial government shutdown continues into late October, Veterans Affairs Secretary Eric Shinseki told lawmakers Wednesday. Some 315,000 veterans and 202,000 surviving spouses and dependents will see pension payments stopped.